Noise is one of the most common occupational health hazards encountered in the workplace. It is a problem, which is often underrated because hearing loss does not always have any obvious symptoms or pain. At the same time, noise-induced hearing loss is 100 percent preventable but once acquired, it is permanent and irreversible. 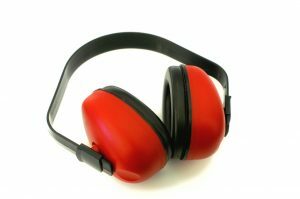 How does occupational hearing loss occur? Noise-induced hearing loss is a cumulative process, and both the level of noise and exposure time are important factors. While we experience different sounds every day, they can be harmful when they are too loud even for a brief time or when they are less loud, but long-lasting. Additionally, exposure to certain chemicals (ototoxic) can cause hearing loss and are toxic to the organs of hearing and balance. How are noise exposure limits determined? Because both the duration of exposure and the sound level have to be taken into account, occupational exposure limits (OELs) intended to prevent hearing loss are usually given in the form of exposure-duration tables. OELs are dependent on the criterion level and exchange rate. The criterion level is the steady noise level permitted for a full eight-hour work shift. It is frequently set at 85 dB (A), but can vary depending on the province and the regulations your organization falls under. The allowable maximum exposure time is calculated using an exchange rate. The exchange rate is the amount that the sound level may increase if the exposure time is halved. An exchange rate of 3 dB(A) is used in Canada and all provinces except for Quebec. Based on an exchange rate of 3 dB(A) and the criterion of 85 dB(A), the maximum allowable average noise level in Ontario is 85 dB(A) for 8 hours duration or 88 dB(A) for 4 hours duration. Every employer has a duty to protect workers and take all measures reasonably necessary in the circumstances to protect workers from exposure to hazardous sound levels, including measuring noise levels, provision and use of engineering controls, work practices, hearing devices, training and instruction. Would you like to find out more about noise exposure? Harris Environmental Management Inc.(THEM) offers comprehensive noise assessments both in office and in industrial work settings. We can evaluate both nuisance noise in offices or occupational noise exposures in manufacturing or industrial workplaces. We able to measure personal noise doses, conduct sound mapping or octave band analysis to determine noise abatement options and evaluate ototoxic chemical exposures. We provide recommendations on hearing protection zones, recommended hearing protection devices, engineering controls and can develop a hearing conservation program for your facility.